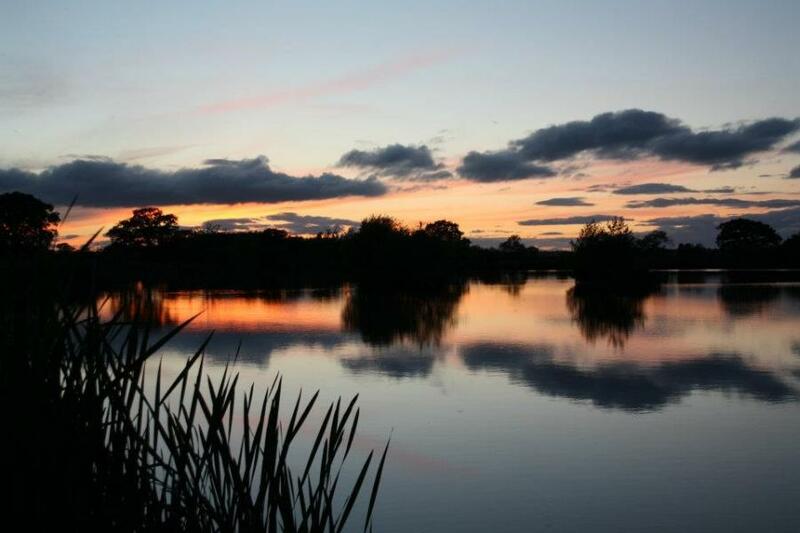 Merrington Carp Fishery is situated in North Shropshire and is set deep in the heart of unspoilt countryside away from traffic noise and is a truly peaceful and tranquil setting. It's one of Shropshire's premier day ticket waters (minimum 24hrs) with only carp stocked into the lake. 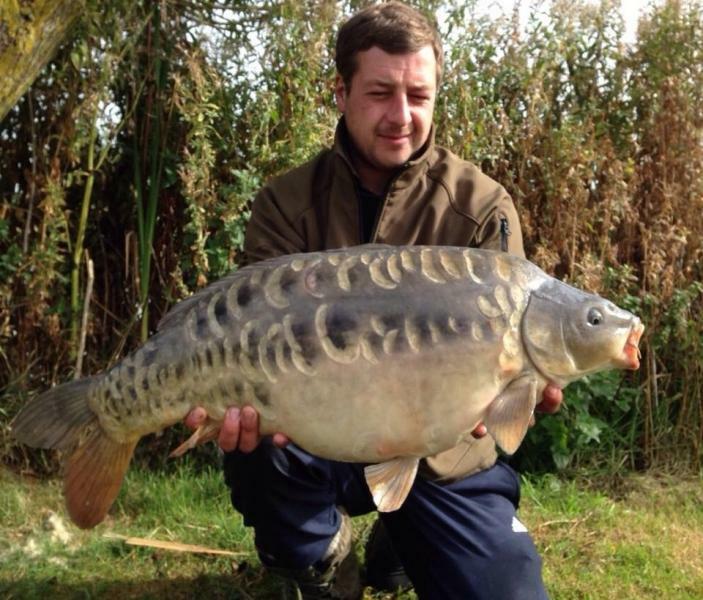 The lake is a purpose built 8 acre carp fishery with both visible and underwater features in every swim. With 16 swims to choose from the lake is reed lined with islands, bays and plenty of magnificent carp to catch. We have a rough stock of 180/190 fish with about 85% of those over 20lb and between 12/15 of those 30lb+ with the current lake records standing at 38lb 4oz (Mirror) & 38lb 13oz (Common). The lake average is 22/23lbs. Fishing can be tricky at times however as they say effort equals reward. We operate on a day ticket basis and booking is essential prior to fishing. Excusive lake bookings can be arranged, please contact us on the fishery phone number to discuss dates and prices. We do experience some high winds at merrington on occasions, so we recommend 12 inch bivvy pegs! Especially when high winds are forecast. 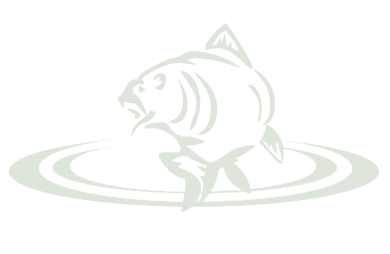 Our booking slots run from 12pm - 12pm on both carp lakes, but leeway on arrival/departure times can be given depending on how busy we are on those days. We do take a 50% deposit payable by bank transfer or paypal to secure the booking, (24hr sessions payable in full). Once you have rung or messaged us to confirm dates, we will send you the account number & sort code for the transfer or the email address for paypal payments. (Please do not transfer money without contacting fishery first to confirm dates are available). These deposits are non-refundable unless the fish spawn or the lake freezes as then we will close the fishery and refund all payments made or book you in for a later date. We offer discounted tickets during the week by if you arrive on a Sunday Monday or Tuesday you get three nights for the price of two. Armed forces and emergency services personnel receive discounted tickets (20%) also please mention when booking and you will need to bring identification cards. We do winter syndicate places giving something back to the anglers who fish on a regular basis. For all syndicate members all of the fishery rules still apply, if interested please call the fishery too discuss membership further. Winter Ticket : The ticket runs from the 1st november - 28th february and covers the full week you can fish as many nights between this period as you wish. Our merrington carp fishery Facebook page is updated regularly with catch reports, pictures and latest news. These go in the lakes on a regular basis and produce good results. Please ask bailiff about these if interested. (Hemp & maize is best ordered the day before).